U Sports first-team All-Canadian and Canada West receptions record holder Trivel Pinto has received a two-year suspension after testing positive for cocaine. The star UBC receiver’s urine was collected in-competition on October 27, 2018 by the Canadian Centre for Ethics in Sports (CCES) — an independent, national organization that administers the Canadian Anti-Doping Program. That day, the UBC team defeated the Manitoba Bisons 38-34, and Pinto scored two touchdowns and put up 12 receptions for 186 yards. In a statement released on February 8 by CCES, it was outlined that Pinto has admitted the anti-doping violation, waived his right to a hearing and accepted the suspension for use of the prohibited stimulant. All anti-doping violations are announced publicly. The release added that he will be suspended until October 26, 2020. Until then, Pinto is ineligible to participate in any capacity in sports teams signatory to the Canadian Anti-Doping Program, including training with UBC teammates. Football head coach Blake Nill and UBC Athletics and Recreation Senior Director Gilles Lepine said in a joint statement to The Ubyssey that they support the CCES’s ruling, noting that the department also prohibits illegal drug use among athletes. In the 2018 season, Pinto averaged 130.9 receiving yards per game, second-best across U Sports teams. He was fourth in the country in receiving touchdowns, with six. In Canada West, he set a new single-season record with 67 receptions for 916 yards and led the conference with 1,503 all-purpose yards. 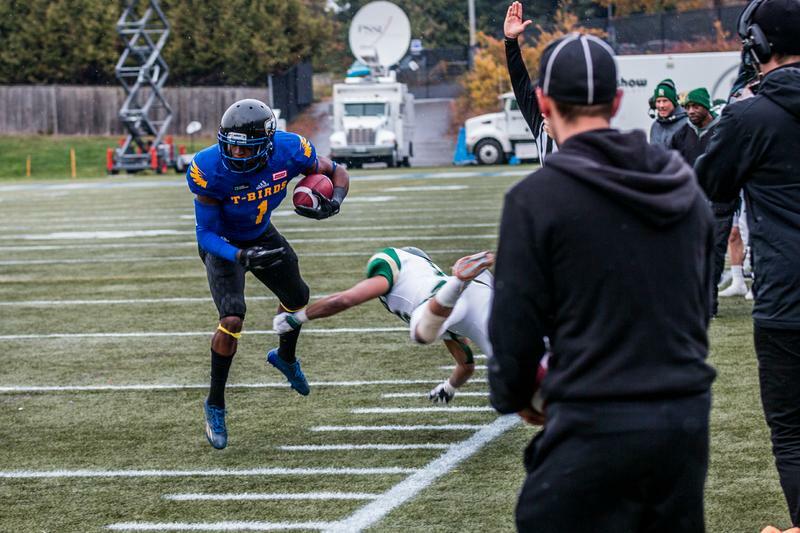 The Toronto native just played out his fourth year of U Sports eligibility with UBC, but had indicated in a previous interview with The Ubyssey that he aspired to the CFL Draft this year. He was ranked 18th on the CFL’s Scouting Bureau list in December. Pinto didn’t respond to request for comment. “This is a mistake made by a young man that will affect him in many ways,” reads the statement from Nill and Lepine.